A project focused on organizing artistic installations that engage experimental uses of lights & sound. 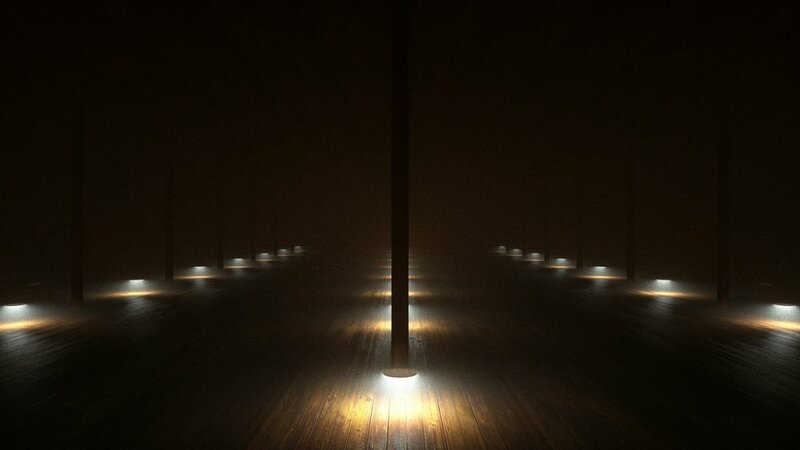 Each event utilizes different light sources driven by sounds that are slowly crafted and built upon, with the goal of immersing visitors into a unique atmospheric world. This was the first event of a series. For Atmospheric Studies: I, 30 directional spotlights were driven by a custom built visual system which intakes audio cues from a musical performance built on the fly. The light fixture’s movements and colour were solely reliant on the mood and tempo of the music. Original music by Nick Grimshaw. Two 1 hour shows with a break in-between. The event took place in the Main Event Space of the Cotton Factory in Hamilton, Ontario on March 24, 2018.